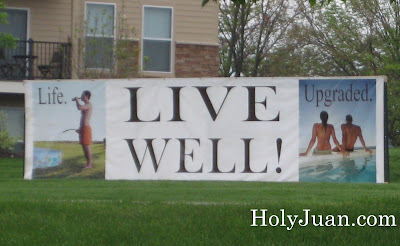 This is an advert for an apartment complex near my house. Oh my God . . . is he drinking a BUDWEISER?